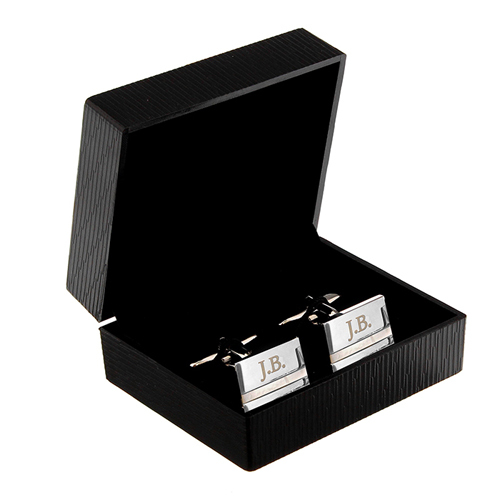 These elegant and stylish cufflinks feature a Mother of Pearl detail and make a fantastic gift for that special man in your life. Personalise with any 3 initials; please include the full stops in between the initials if required. Text will appear in uppercase. Each cufflink measures 1.7cm x 1.3cm x 0.3cm (2cm including tail).